EVELOZCITY Appoints Auto Industry Veteran Karl-Thomas Neumann to its Leadership Team and Board. The Former Opel CEO will be In Charge of Mobility, Leading Innovative Mobility Concepts for EVELOZCITY such as Blockchain Integration. LOS ANGELES - April 21, 2018 — EVELOZCITY, the new Los Angeles based electric vehicle (EV) and future mobility startup, has announced today that Karl-Thomas (KT) Neumann will join the company’s executive team and board of directors. 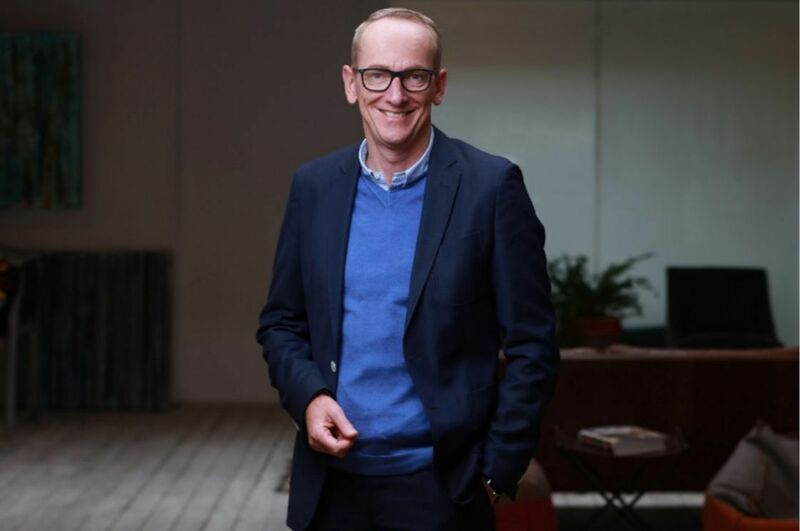 Neumann, who was most recently CEO of Opel, will be In Charge of Mobility for EVELOZCITY. Neumann will set the direction for the company’s new connected car experience and mobility concepts, as well as oversee customer experience, branding, marketing and theEuropean market. One of Neumann’s first priorities will be leading innovative solutions such as EVELOZCITY’s blockchain strategy. A seasoned leader, Neumann brings more than 25 years of automotive industry experience to EVELOZCITY. Prior to Opel, he held various leadership positions including CEO of Volkswagen GroupChina and CEO of Continental AG. Neumann is a longtime advocate and early pioneer of electric mobility and in 2009 he took over Volkswagen’s companywide responsibility for electric propulsion. Neumann joins an executive team at EVELOZCITY with an already impressive pedigree. The company is led by Stefan Krause, who is the former CFO of both Deutsche Bank and BMW AG. Ulrich Kranz, often referred to as the father of BMW i, is In Charge of Technology and BMW i3 and i8 designer, Richard Kim is In Charge of Design. The company is breaking free from traditional hierarchy and taking a modern approach to management for faster and more precise decision making. EVELOZCITY is headed by its four leaders and the company does not use conventional job titles. EVELOZCITY’s philosophy is that innovation in the organizational approach leads to innovation in products and processes. Founded in December 2017, EVELOZCITY is creating innovative and affordable electric vehicles to address the future urban needs of three main use cases: commuting, ride-sharing and package delivery. Focused on uncompromising electric vehicle design, EVELOZCITY is breaking away from the car industry’s traditional ‘three box concept’ that conventionally houses the engine, passengers and luggage in separate compartments. EVELOZCITY’s pragmatic and asset-lean approach also includes the decision to use contract manufacturing partnerships to outsource production. EVELOZCITY is creating a boutique Californian brand that will provide options to individuals who do not want to drive cars from manufacturers associated with gasoline vehicles. The native EV company plans to launch its first vehicle in 2021, followed by rapid deployment of further variants. Canoo is a Los Angeles based electric vehicle (EV) and future mobility company that is creating innovative and affordable electric vehicles to address the future urban needs of three main use cases: commuting, ride-sharing and package delivery. Through its skateboard architecture with interchangeable cabins, as well as the outsourcing of vehicle production, Canoo is taking a refreshingly pragmatic approach to vehicle development. The company will break away from traditional vehicle design by focusing on an uncompromising electric vehicle that rethinks the need for separate compartments. The boutique Californian EV brand plans to launch its first vehicle in 2021 in the U.S., with other markets to follow.